This is one I picked up at Bare Lit last year that had been languishing in my TBR pile fun unclear reasons. Set in the 1950s, mostly across Sudan and Egypt, it follows the one Mahmoud Bey Abuzeid and his dynasty, spread across two wives, family units and homes. It’s very much a family melodrama, concerning itself with the relationships between them. There are dutiful sons, wastrel siblings, parties vying for influence and those swept along with it all, so it manages to fit a lot in without becoming epic. Perhaps the most dominant of themes are the relationship between tradition and modernity, and the sacrifices made for duty. Some of these were familiar to me – the heir apparent willing to sacrifice his beloved poetry, his spendthrift uncle trading off his brother’s success, the daughter who would marry for love – but what was much more striking were the less familiar elements. For instance, that Mahmoud has two very different wives, or the issue of female circumcision, which is presented unflinchingly. It’s a story from outside the white Anglosphere, one that looks to present things without judgement. In that respect, setting the story in 1950 feels astute, establishing distance from sensitive topics so they can be assessed clearly. What also struck me was Aboulela’s style, which provided direct tells for the reader, whilst the dialogue was more elegant, inherently poetical. That struck me as the inversion of what I am used to reading from the UK. 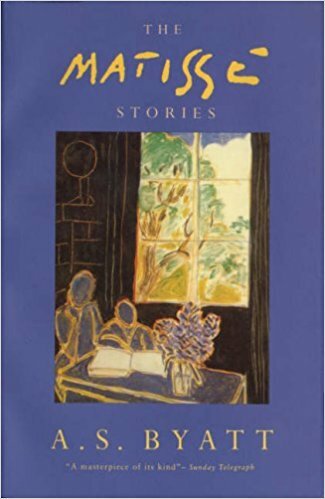 A collection of three short stories inspired by paintings by Matisse, this collection had mixed results. The opening tale left me fairly cold, concerning a middle-aged woman having a crisis of ego and appearance in a hairdresser, so not much to say there. The second was more interesting, with an artist going stale, his wife trying to boost his career and their most unlikely of cleaners stealing the show but felt rather introspective – writing for writers and artists, if you will. The third story, however, had a complex and reward core. In it, two academics meet over dinner to discuss an accusation of sexual assault by a student – one is conducting the inquiry, the other the accused. Despite its short length it twists and turns, so the understanding of what has happened, and how much truth there is to any statement is constantly evolving. The final third unfolds spectacularly, revealing numerous astute thoughts on how we can know each other, suicide, and the harms we risk by building relationships. Skip the first story, maybe read the second. Dwell on the third. The last of the TTA Press novellas I had to read, but the first published, this is inspired by the suicide of Mark Linkous, AKA Sparklehorse. The introduction gives a quick summary of the circumstances of his death – suffice to say they were is tragic and complex. 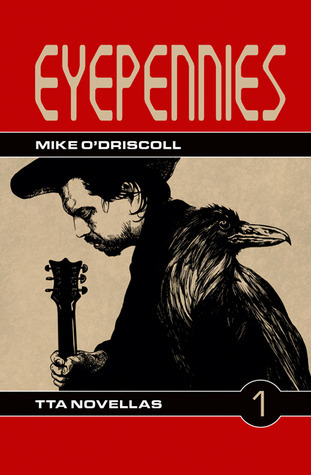 Eyepennies exists in proximity to the truth of matters, as it tells of a musician struggling to work, given the space by his wife to vanish into a studio to work. Because his work is his life. It’s a short read, but carries a great emotional weight and resonance with it. Knowing the context of its creation may affect that, but the truth is also it is a powerful story of isolation, the maddening effects of depression and how we can lose people many times over. As with Nina Allan’s Spin, this is well worth picking up. It’s a shame the TTA novella line was so short-lived in fact, because as ever they have a good eye for affecting genre writing at the shorter lengths. What a deeply weird, funny, macabre and unsettling book this is. Those who’ve already read it are probably nodding, the others thinking, Isn’t she the Tudor history woman? Well Mantel is many things, apparently; kudos to her for getting such a freaky book published under a literary guise. It’s about Alison, an obese medium, and Colette, her awful rakish manager, making money from her work with the masses. The opening scene sees Alison running a show and it sets the tone for the rest of the book because you’re not entirely sure who’s real and who’s a ghost. Alison seems to see little difference between them, constantly switching to address the living and the dead without warning. With the benefit of the narration we can pick it apart, see how clear she is – but without that we must take her as fey and maddening. Add in her vulgar and abusive spirit guide, Morris, and his cronies and it just gets weirder. It’s a book about: Alison trying to run her own business and find somewhere quiet to live; Alison disinterring her childhood of abuse and neglect and hoping to find her father; her misanthropic manager coming to know herself; the dead looking for peace and closure. The ghosts go on a management training course at one point, and come back with modifications like a 20-foot tongue and armour plated balls. Weirdest of all, however, is the use of speech attribution and point of view. The line between the living and dead is porous and Alison’s world is a delirious and bizarre place as a result. The humour is black as the grave, and carried by Alison’s incessantly good nature – in this life or the next, she just wants to help people. Absolutely the strangest thing I’ve read so far this year.